All your guest reviews at a glance. 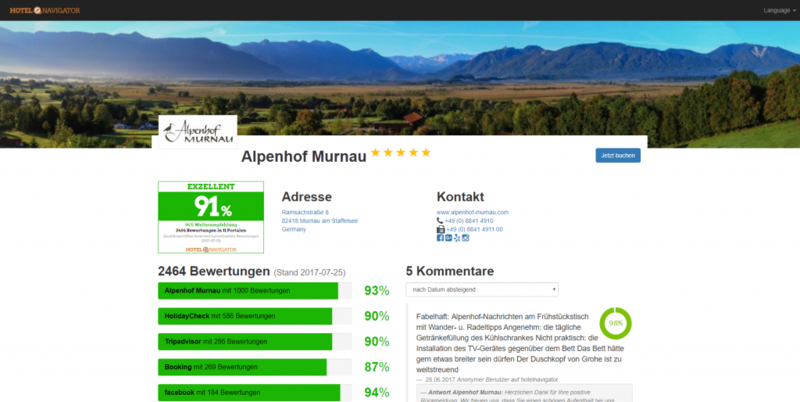 All results from the HotelNavigator can be displayed live within one meta-review widget. Therefore we offer either our standard design widgets or fully customized solutions via our API (OAuth Interface). The HotelNavigator surveils all relevant social media and review websites and notifies you about the latest comments. Platforms like Booking.com, Tripadvisor, Expedia but also facebook and Google reviews are daily scanned, categorized and edited in your admin-dashboard. 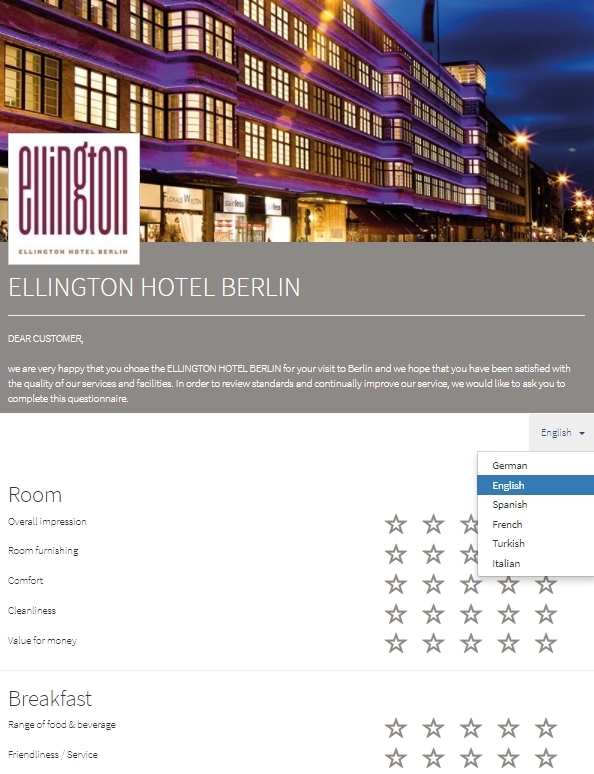 Together with to your review monitoring you can now easily and individually survey your guest during or after their stay. Many of our customers use tablets or QR-codes in order to collect feedback from their guests while they are in their rooms or at the reception. The typical post-stay mail is also included. You can easily use your unique survey link within your current mailings (included in most booking software). Results or your own, customized poll will automatically be combined with your monitoring analytics. For every client we create a review LandingPage. It comprises your search engine optimized content in order to generate a better organic ranking when potential customers search with relevant keywords for a hotel like yours. The LandingPage exclusively links to your own hotel website and with call-to-action buttons directly to your reservation site. This creates more direct bookings and consequently results in less commission payments to the online travel agencies (OTAs). Our pricing is based on 12-months subscriptions. Longer periods apply for discounts. The fee due is dependent upon the total number of rooms of your hotel respectively the number of entities of your chain, cooperation or destination (DMO). Plus a nonrecurring setup fee to the amount of one monthly fee and taxes.